Black and Brown Dark Coffee marble that is a truly beautiful polished marble that makes a strong statement in any setting. 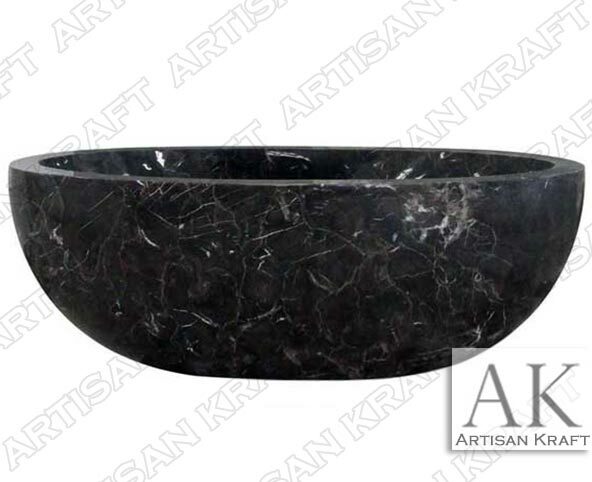 This brown marble double ended oval tub is a free standing tub. This model double ended bathtub can be used as a free standing tub, apron, or drop in. Free standing faucet accessories or built in wall faucets can be used depending on the orientation of the tub. All tubs are available in custom dimensions. Add an overflow drain, soaking side and customize the location of your drain. Delivers nationwide across US, New Jersey.